So you have decided to move to New York? Well, be prepared to hear two different sides of your moving to New York. One of the sides will probably say to you that you have just made the best decision in your life. However, the other side will tell you that you are making a big mistake. You should not listen to any of the sides. If you have decided that moving to New York is a good choice for you, we are going to give you the reasons why are you right. When you are planning your move to New York you should start on time. Make a plan and organize things you need to do for your relocation. Start with packing your things by using packing materials. For example, it could be bubble wrap, packing track, boxes or any kind of material you could use. If you have problems finding these materials by yourself, you should do some research about the moving company which is offering packing materials. In this way, you will have a safe relocation. Separate your things in categories. This will help you later when you need to unload your moving truck. You will know exactly what is where and what you will unpack first. Finding a moving company is the second step for you. Now, this is the step to which you need to pay attention the most. Because when you find a moving company you have finished almost everything. Keep in mind that you are moving to New York. So, you need to have everything planned. However, you should hire a realiable moving company which is able to provide you with the best moving experience and ensures a stress-free relocation. When you hire a company which is from the city you are about to relocate to, you can be at peace. Because they will know how to relocate you in the easiest and fastest way. Make a deal about your moving day and about the price. Find out how many movers do you need to hire. Now that you have made your move to New York successful, it is time to decide where are you going to live. This is also an important thing because you are about to spend some time in this city. A thing you should know is that prices for a living place are high here. So, you need to choose your new place for a living very wisely. For example, living in Manhattan can be pretty expensive if you have just started a life in this city. You are definitely going to need some time to save up money. However, no matter which borough you choose, you will get used to it. You can always use a public transport if you want to go to the downtown. However, in the beginning, you should rent your place. Like we said, prices can be really high and you need some time to adapt to the new city. Still, you can find a decent apartment or a house in the boroughs like Brooklyn or The Bronx. They are not that far from the city center and in this boroughs, you have everything you need for a everyday life. You have probably heard many stories about New York City. Mostly you have watched movies and TV shows about it or your friends who live in this city have told you some stories. Well, there are some important things you should know before you move to New York. Now, you have the option to trust your family or your friends who are here. The other solution is to do some research on NYC. However, there are some things you will not be able to avoid. For example, be prepared for a huge traffic in this city. You should think about your safety because this is a big city. Avoid the areas which are unfamiliar to you. Organize your time. By saying this, you can always find some event you can do in your free time. No matter what they say, if you love the city, there is nothing that can make you think differently. Like we said, moving to New York, in this case, is something you have decided. You are ready to accept the city like it is and its lifestyle. You’ll soon learn that everybody here is occupied with something. If you have some family members or friends in New York City, you should stay connected with them. Use your free time to be in their company. Go with them to different events. Make your own dinner or lunch and be with them. In this way, you will not feel alone. New York City sometimes can make you feel alone, but if you stay connected with the people you want to, you will not have that feeling. Still, you might not see each other every day, but it will be easier for you when you know that you have somebody. 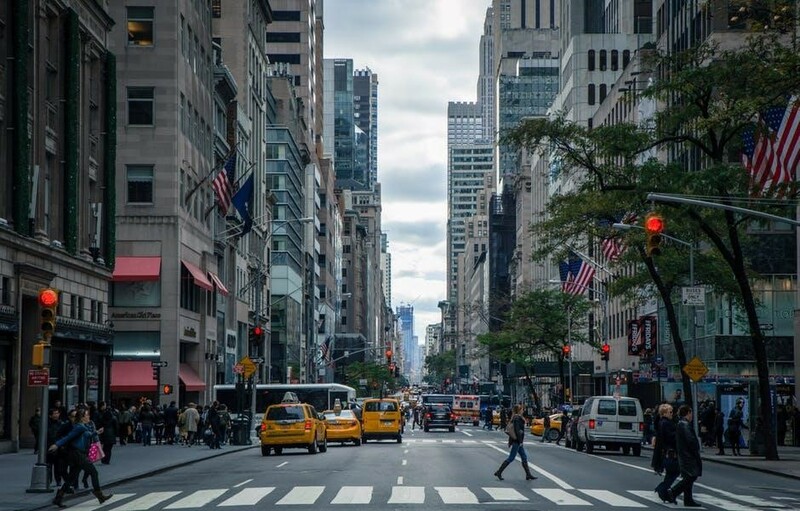 Once you have finally finished everything about your moving to New York and when you have adapted to the city, now it is time to enjoy your life in it. Take everything that this city is offering you and use that wisely. However, if you in any moment get tired of the city, you can always escape from it. But you will not. New York City is big enough that there is a place for everybody. Now everything is on you.